Why Get a Quadcopter With Camera? Flying drones is a fun experience however that experience is brought to the next level when you introduce a camera to the mix. Not just a camera that that requires you to fly, take shots, then wait until you upload them to your computer to view the results, but a camera that has a live feed. That means you have a bird’s eye view and see things in live time just as the drone sees it. Having this ability is essential in my mind to getting the full enjoyment out of in person drone flying. There are a wide mix of live feed drones as well as still shot drones. My first review will focus on a very popular live feed quadcopter with camera capabilities, the Phantom 2 Vision+. My review on one of the most elaborate feature packed drones on the consumer market today. From GPS autonomous fly to live feed capabilities, this drone has all the bells and whistles. Read my review here. 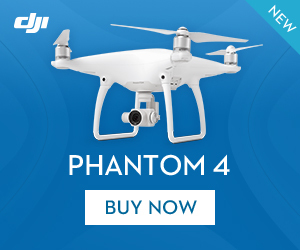 A drone for a cheaper price without foregoing the camera and live stream capabilities. The Parrot AR 2.0 is a good starter drone for those wanting some of the fun features but aren't ready to drop over $1,000 to do so. Read my review here.